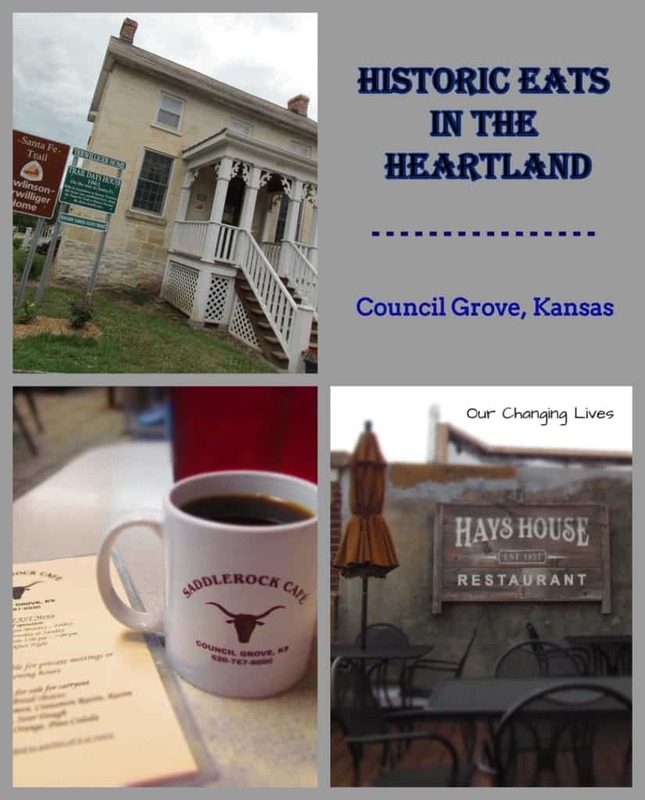 Council Grove, Kansas opened up a wealth of historic sites for us. What we learned during our visit was that it wasn’t just limited to museums. Even the restaurants have stories to tell. 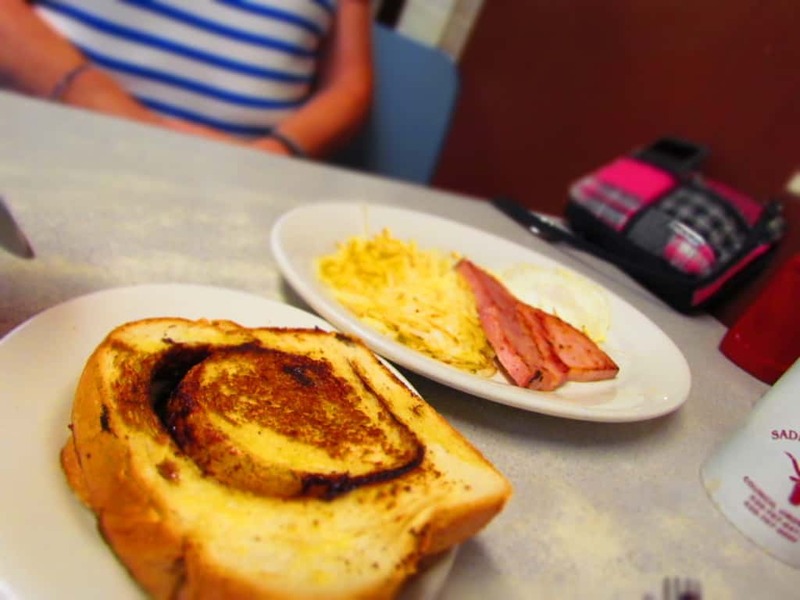 Our stay in town was only long enough to sample three of their dining establishments, but it still gave us a historic taste of this Midwestern town. Let’s check out what we uncovered. We want to thank the businesses and Visit Council Grove for their hospitality. Rest assured that all opinions are our own. Our readers know we like to find the spots the locals frequent. One of the true tests usually comes at breakfast, since it is definitely the most important meal of the day when you are exploring. 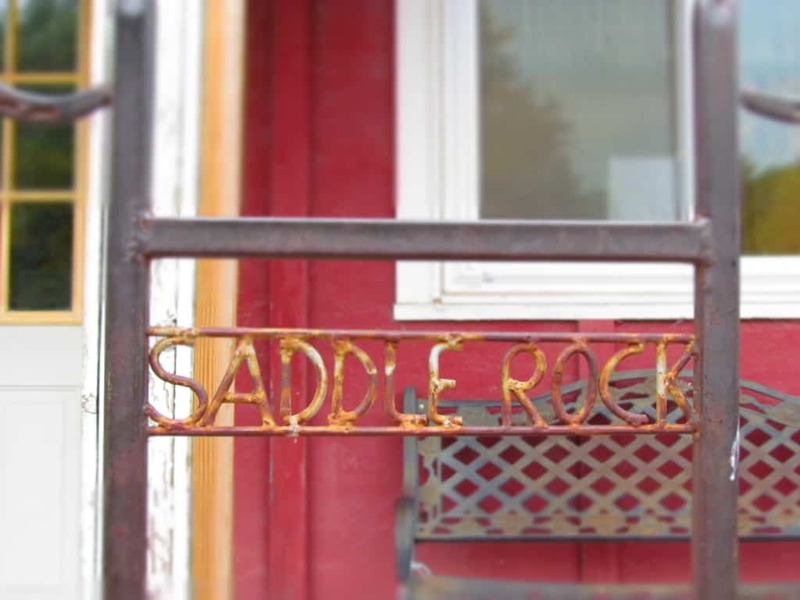 Saddlerock Cafe is the kind of place that is easy to overlook, but a shame for those who do. It sits about a half block off the main drag, but we knew we were in the right place by the packed parking lot. The interior looks like so many other small diners we have visited. Like many of those, we were sure that this place was about to knock our socks off. 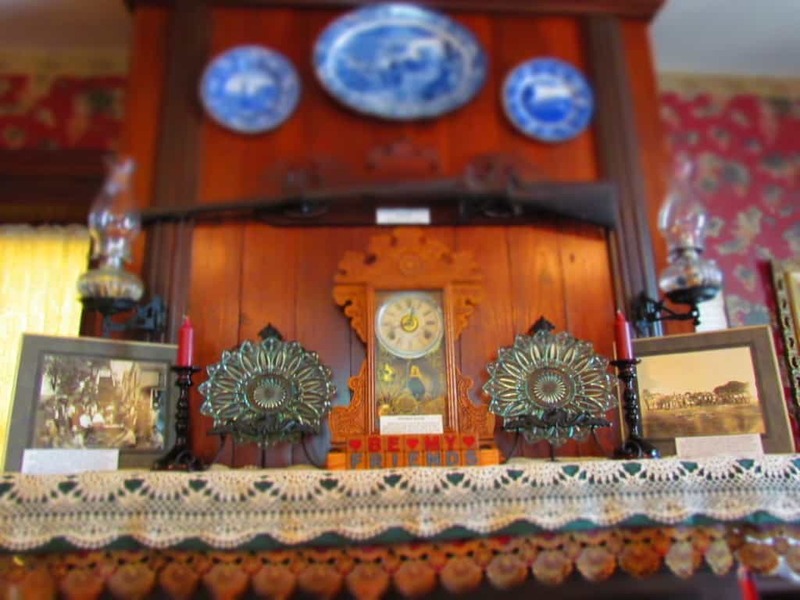 Scattered around the two dining rooms were a mix of locals all discussing the current events or days chores. We knew we were in the right place when we saw all of the local license plates in the lot. Our server stopped by and served us up some piping hot coffee to help us clear the cobwebs. Time to check out the menu. I decided on French toast, as did Crystal. We had to decide between Cinnamon, Cinnamon raisin, Raisin pecan, Pina Colada, and Cranberry orange almond bread. If you can imagine, it made choosing rather difficult, since we wanted to sample every flavor. In the end I chose Cinnamon and Crystal went with the Cranberry orange almond. The flavors completely altered the normal taste of our dishes, and brought a new enjoyment to our taste buds. It will be difficult to look at plain brioche toast the same now. This certainly made our breakfast a memorable experience. During our tour of the town, we walked out toward the western side , where the Trail Days Cafe can be found.. Although the town continues past the cafe, this was not the case in the 1860’s. At that time it was known as the Terwilliger Home, and it was the last house that the wagon trains would see as they headed southwest on the Santa Fe Trail. For those returning east on the trail, the home marked a return to civilization. 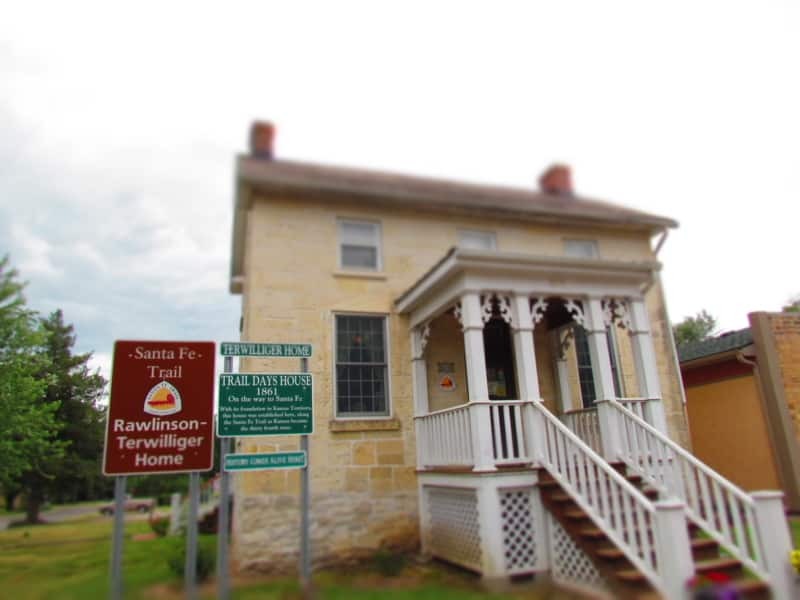 The building is the oldest stone home remaining on what was once the Santa Fe Trail in Kansas territory. The Terwilligers bore their 15 children here and the home remained in the family until the 1900’s. In the 1920’s it was converted into a gas station to service the growing trend of motor vehicles. Once again the shady trees of Council Grove became a haven for travelers to camp out in the shade from a long, hot day of driving. Soon they erected four small cottages to rent for lodging on the property grounds. Four more cottages were added during World War II, and used to mainly house military personnel. By 1977, the main building ceased to be used as a gas station. It sat idle for nearly twenty years, before it was adopted and on its way to becoming the delightful stop it is these days. The menu at Trail Days Cafe is not the run of the mill type. It is broken down into a collection of cuisines based on region and time period. The goal is to replicate original dishes as close as possible. Pictured above are some of the dishes we sampled. On the left was a serving of Ham & Beans with Cornbread, which was a common dish for Early Americans. It was a combination of the Old World settlers and Eastern Indian tribes. From the Old World section of the menu, we tested the German Cole Slaw and Applesauce. Our last dish brought a touch of the 20th Century to the table. The 1902 Hamburger was invented in Clarinda, Iowa. 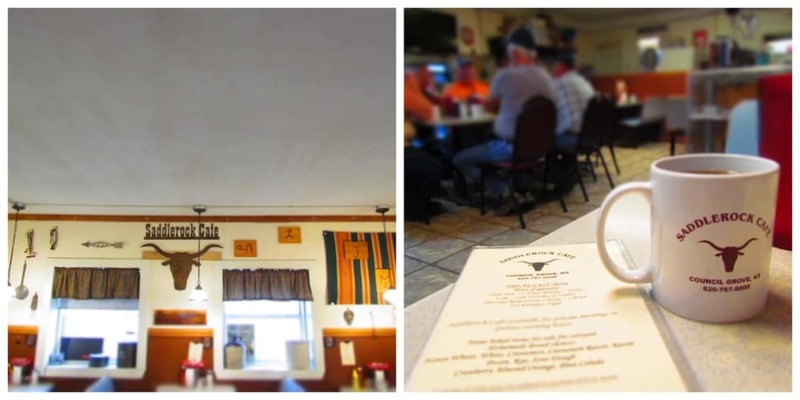 The menu at the Trail days Cafe tosses in background information on all of their dishes, so customers get to learn about the origins of each thing they order. What a great idea! By the way, the food was delicious. After our lunch, we were invited to take a peek upstairs at their collection of artifacts from days gone by. Here we found the upstairs bedrooms were set up much like they would have been for the Terwilliger family in the 1860’s. 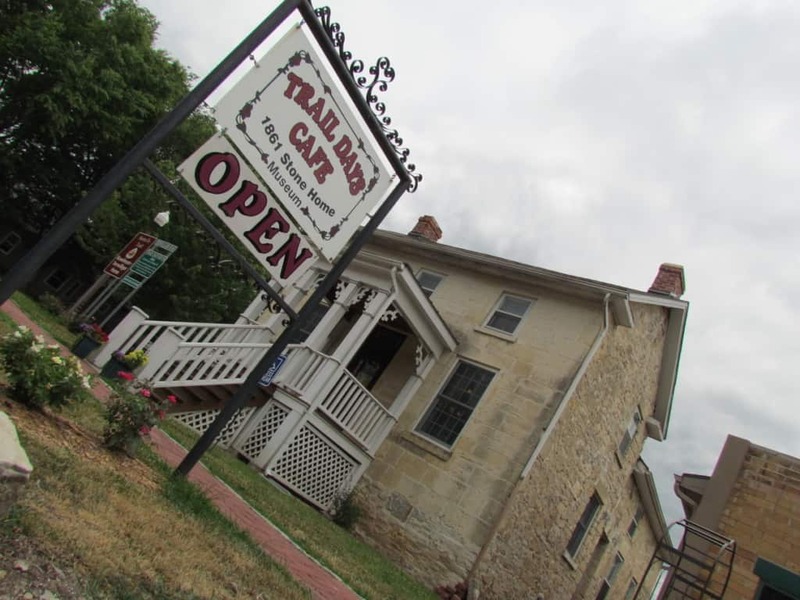 When you visit Trail Days cafe, we hope you get to spend some time speaking with the couple who run it. They are a wealth of historical knowledge about the surrounding region. It was so much fun hearing all of the stories about the past. No visit to Council Grove, Kansas would be complete without a stop at the Hays House. Seth Hays came to the area in 1847, and found that the area was already a popular place for wagon trains to assemble, before heading out on the Santa Fe Trail. He built himself a cabin and began serving meals out of it. Within ten years, he realized there was a growing need for more space, so he constructed the Hays House directly on the trail route. For the next four decades, the building would offer up more than just a meal and a place to stock up on goods for the road. The mail was distributed from the building for a period, and the government rented space to hold court. Downstairs we found an area that served as a bar on Saturdays and church on Sundays. (The bar was covered for church services.) The original peaked roof was destroyed in an 1886 fire, but the building was saved from destruction. Up until the 1940’s, the Hays House also rented rooms to travelers. Visitors are encouraged to explore the upstairs and cellar to get a glimpse into the past. 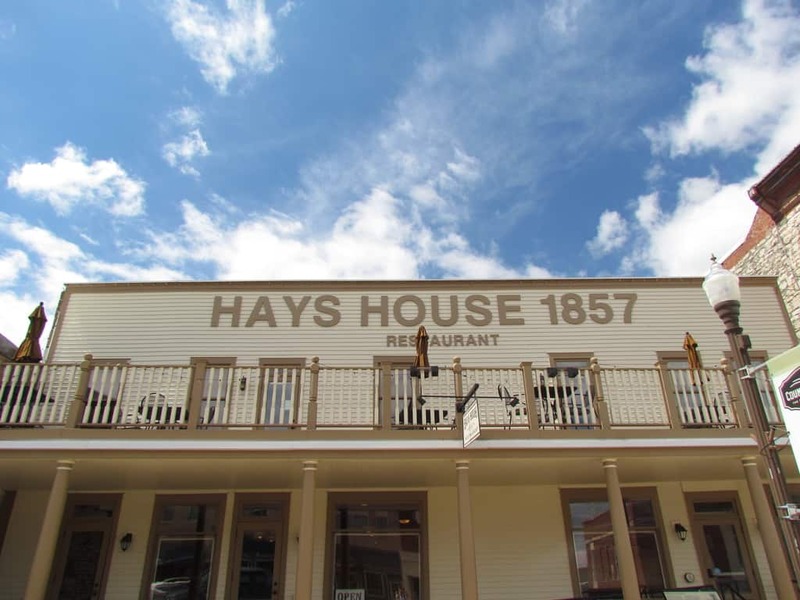 Travelers stopping at the Hays House can find a menu filled with delicious choices. We arrived for dinner, and were feeling rather famished from our day of exploring. Fortunately, we found that we would not be leaving hungry. 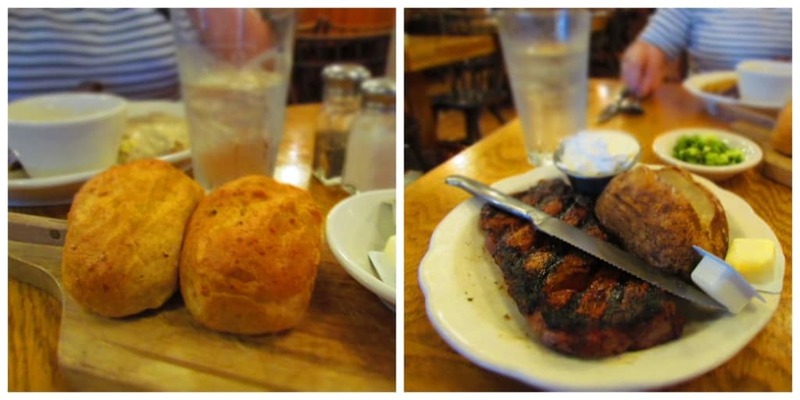 Hearty dishes abound on the menu, and the special for the day was the Kansas City Strip Steak. (They must have known we were coming.) It was served with a baked potato and a visit to the salad bar. Fresh baked bread was brought to the table to accompany our salads. By the end of our meal, we had refueled our bodies and were ready for the evenings activities. After dinner, we took a drive out to the lakes north of Council Grove. We found a nice spot to watch a Kansas sunset. (We consider these some of the best!) Before long, we were joined by others who had the same idea. We were happy to see that our spot was the choice of so many. 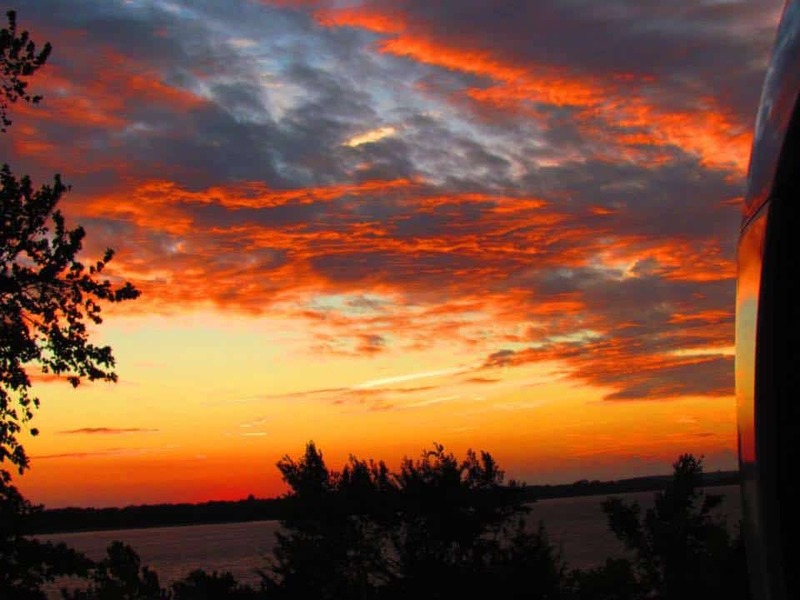 There is something about a beautiful sunset setting that makes you want to share it with others. As you can see from this article, Council Grove, Kansas has some great eateries. Be sure to bring your appetites when you visit,as it is sure to be a historic trip. 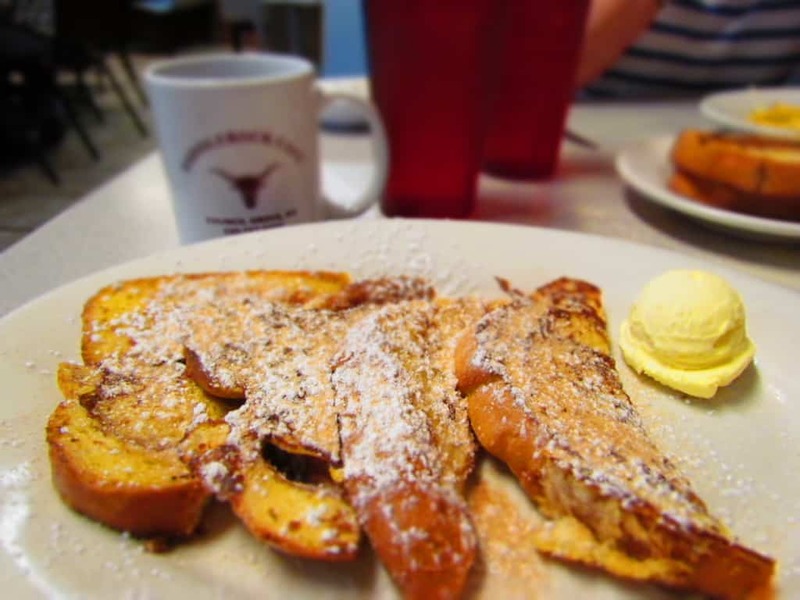 Which of these delicious dining destinations will you be adding to your travel schedule? We would love for you to share this article with your friends! Thanks!! !